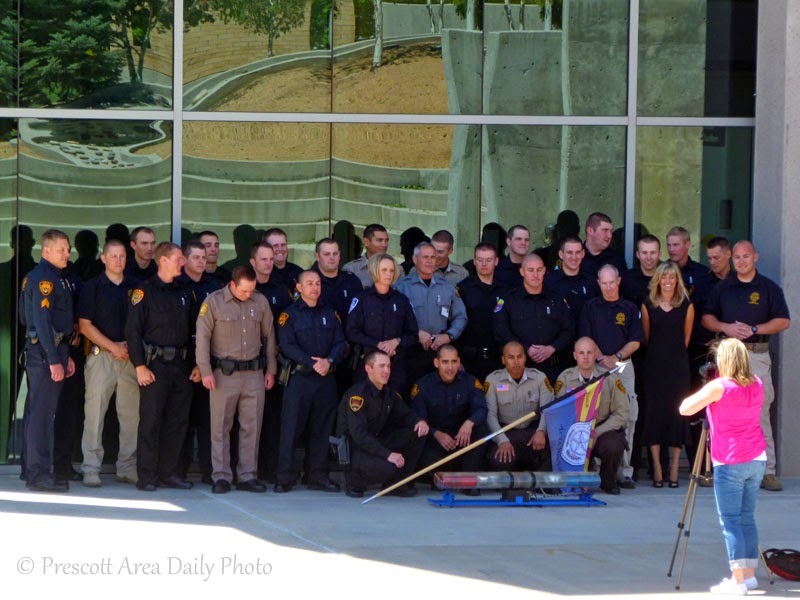 While taking the dog for a walk yesterday we came across the newest graduating class of Northern Arizona Regional Training Academy (NARTA) having their class photo taken. There were new officers from several different police departments throughout Northern Arizona. The Academy is in Prescott Valley. I can't resist taking a picture of another photographer in action. Congratulations to all the new police officers. I agree, always photograph the photographer. Nice to see at least one woman joining the force. How tough it must be to get everyone in pose mode for a g roup photo! The guy in tan needs to look up. At least some of them are looking serious!